No longer will content creators, brands and agencies be tied unnecessarily to antiquated video platforms like YouTube. Utilising video publishing websites isn’t the only option for video content when you consider that native video publishing is available across all the major social platforms. We are moving into a video-centric social media landscape. In 2018, we will see a huge surge in native video content creation on social media platforms like Facebook, Twitter, Instagram and Twitter. According to research conducted by Socialbakers, social video generates 1200% more shares than your standard text and image posts combined. In the current social media market, 4 in 5 millennials will check out video content before making a purchasing decision. 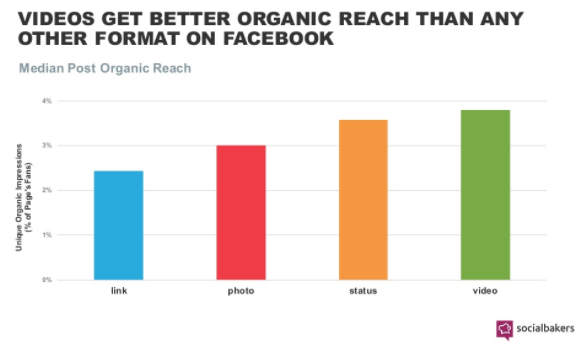 Finally, take a look at how much more organic reach video receives when compared to other formats on Facebook. A quick glance at the bar graph below shows the impact of native video on Facebook. 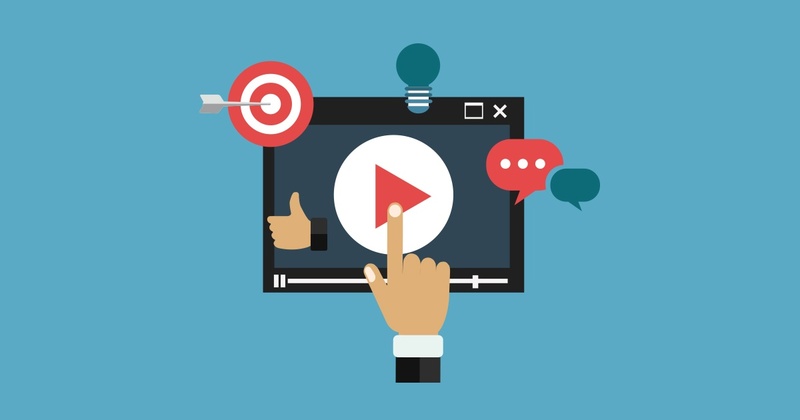 As a result, the importance of native social video becomes even clearer. When you also consider that 95% of a message contained in a video will be retained by viewers, when compared to the 10% retention with text, it’s no wonder video is on the rise in 2018. The power of social video is undeniable. Facebook has around 500 million people watching Facebook videos every day. 82% of Twitter users consistently watch video content on the platform. Snapchat generates 10 billion video views every day. Video consumption on Instagram increased by 150% last year. Even LinkedIn is rolling out native video to all of their users. The shift to a broader focus on video content creation and publishing natively on social media platforms is soon to become the status-quo in 2018. Whether you’re a small business, corporation or big brand, the reality is one where native social video will form an integral part of social media strategies going forward. Video is one social media trend that’s not stopping its momentum by any means. Download our Video Trends in 2019 infographic below to gain more insights.